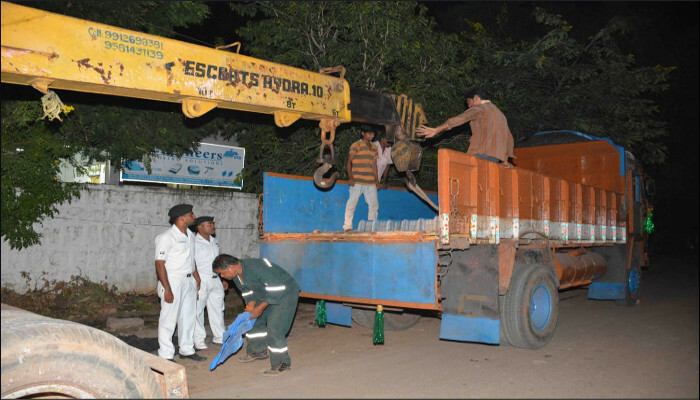 In continuation of aid to civil administration in the aftermath of Cyclone 'Titli' the Eastern Naval Command has now set up a relief operations camp at Akkupalli village in Srikakulam District one of the worst affected villages. 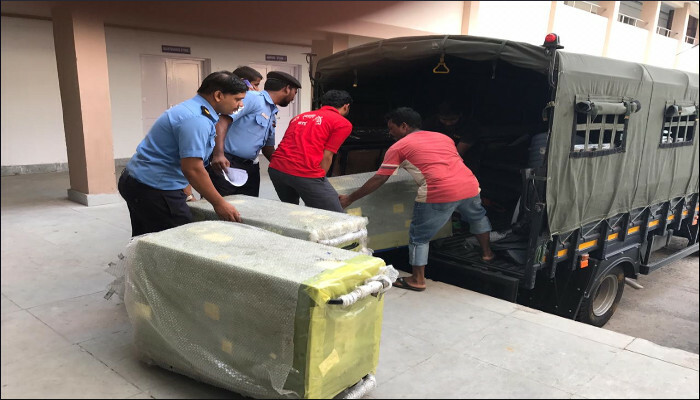 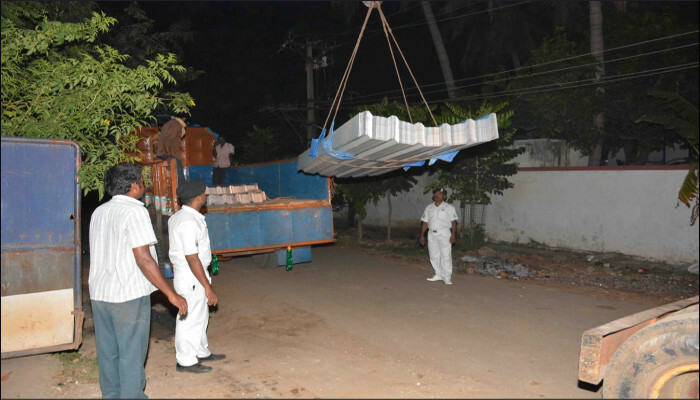 Cmde Sanjiv Issar, Naval Officer in Charge (Andhra Pradesh) formally handed over roofing materials consisting of 1000 galvanised sheets donated by Indian Navy to Shri KVN Chakradhara Babu, Joint Collector, Srikakulam in the presence of the Dy Tahsildar, Sarpanch and other District officials at Srikakulam Collectorate on 26 October 2018. 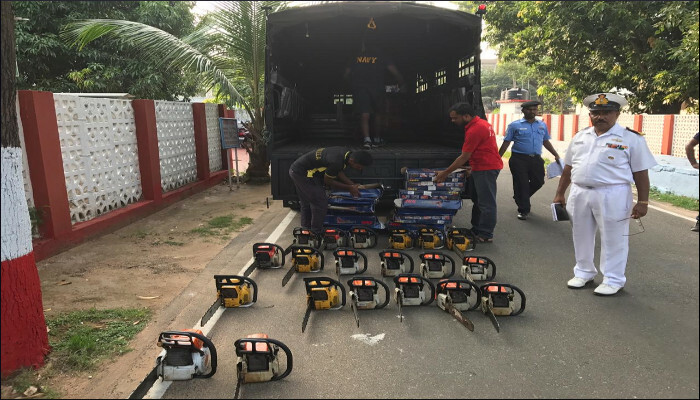 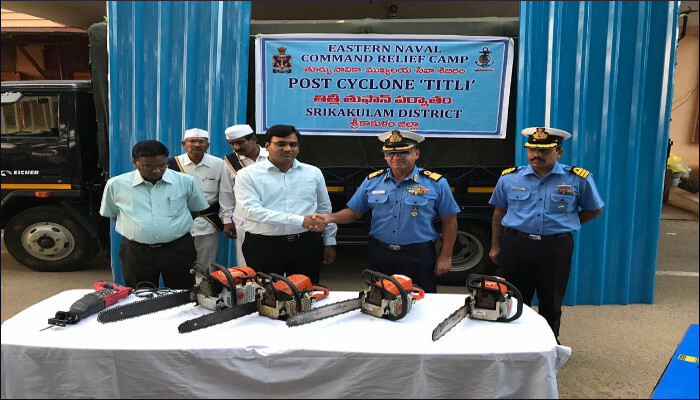 The naval camp manned by one officer and eight naval sailors has been set up at Akkupalli village and will operate for the next 14 days, is equipped to provide Humanitarian Assistance and Disaster Relief equipment like 15 power saws, 20 chain saws and 03 generators to facilitate in early rehabilitation and relief operations in the surrounding areas by assisting villages in clearing fallen trees and debris by use of these power tools. 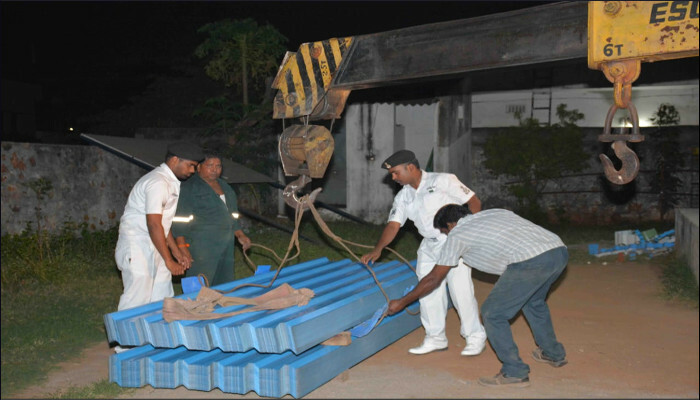 As Akkupalli and it's surrounding villages are one amongst the worst affected, these 1000 galvanized roofing sheets would cater for undertaking urgent repairs of 175 rooftops of village houses identified by district administration officials.